Puka Nacua signed with Washington in February, after considerable deliberation. (Trent Nelson | The Salt Lake Tribune) Samson Nacua at University of Utah football practice in Salt Lake City on Tuesday March 26, 2019. Utah offensive coordinator Andy Ludwig’s passing scheme asks the receivers to run precise, planned routes. That’s a change from the Troy Taylor system that gave them options, trying to find holes in the coverage. Yet as the Utes practiced Tuesday, Ludwig suggested the receivers show some “personality” in executing a pass pattern, doing more to make the defenders wonder where they're going. Personality? Samson Nacua was the right choice to demonstrate what Ludwig had in mind. The junior receiver is known for his upbeat demeanor, evolving hairstyles and eagerness in interviews. And he delivered the slight element of flair Ludwig wanted to see in the drill, with a head fake to the inside as he broke to the corner and caught a pass. 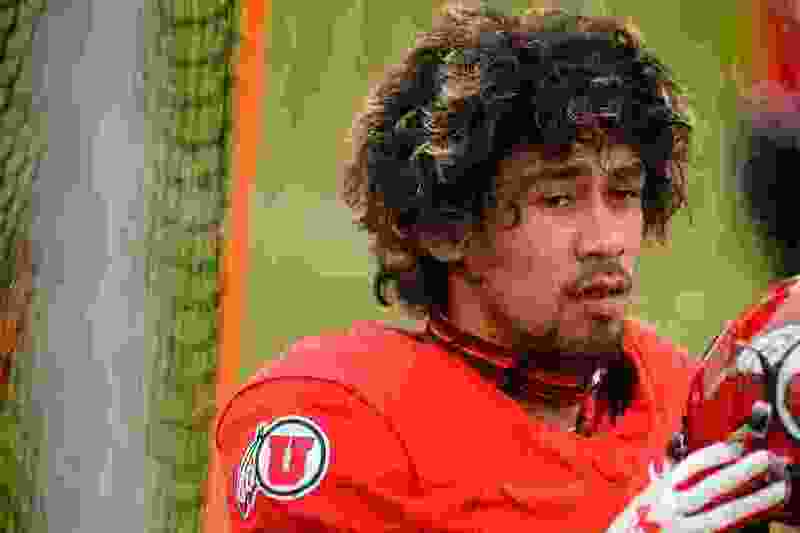 Nacua returns as Utah’s No. 3 receiver from last season, although his 31 catches (for 362 yards and five touchdowns) ranked well behind Britain Covey’s 60 receptions. He’s among several receivers the Utes need to keep improving as another new offense takes hold. And knowing he’ll be asked repeatedly between now and Nov. 2 about Utah’s matchup with his brother Puka, the Orem High School receiver who signed with Washington in February after much deliberation, Nacua is ready with the answer. That would require much more production than the Utes generated against the Huskies last season, when they totaled 10 points and 449 yards in two defeats, including the Pac-12 championship game. Nacua caught eight passes for 45 yards in a September loss to Washington, then an ankle injury helped limit him to two receptions for 12 yards in November. Nacua created his share of highlights last season, including his 57-yard touchdown that clinched a victory at Stanford and his one-handed catch in the back of the end zone at Colorado. As of December, the Utes expected to return all of their receiving production from 2018. They've lost receiver Siaosi Mariner, who's transferring to Utah State, and tight end Jake Jackson, who's skipping his senior year of football eligibility to take a job in real estate development. They accounted for 283 of the team's 3,021 receiving yards in 2018. No. 2 receiver Jaylen Dixon has missed practice time due to injury this spring, while the likes of Bryan Thompson and Terrell Perriman have emerged and Demari Simpkins has been consistent, Holliday said. Utah also appears to be throwing more to the tight ends and running backs this spring, as Ludwig installs his scheme. Holliday said the scheme places much more responsibility on the quarterback to go his through his progressions, rather than relying on the receivers to make decisions during their routes. Holliday’s players, he said, just have to “go out and play.” And catch the football.